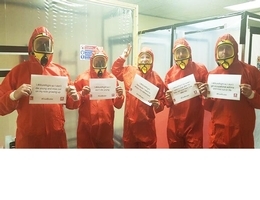 The Health and Safety Executive (HSE) is urging workers to show support for its latest health campaign and pledge to become #DustBusters. HSE inspectors are set to visit construction sites across Great Britain to see if businesses have measures in place to protect their workers’ lungs from the likes of asbestos, silica and wood dust. The inspectors will specifically be looking for evidence of construction workers knowing the risk, planning their work and using the right controls. and sending in photos via the #DustBuster and #WorkRight hashtags on Twitter at @H_S_E, or on Facebook via @hsegovuk and @SaferSites.